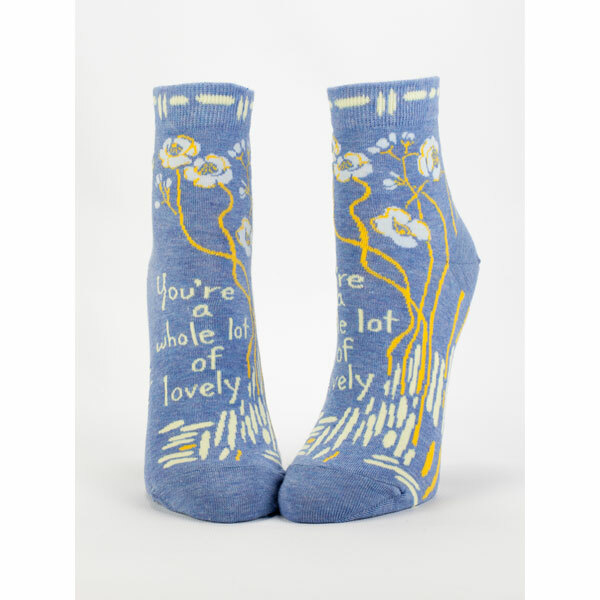 Soft, comfy socks tell it like it is: You're so damn pretty. In fact, you're a whole lot of lovely. Women's ankle socks fit shoe sizes 5-10. Combed cotton and nylon with a touch of spandex. Imported. Colors as shown. Wouldn't these make great girlfriend gifts?